... is the wonderfully evocative title of a new article at Washington Monthly, a center left public policy magazine. The subject is the Obama administration's move to 'privatize' orbit lift, particularly human orbit lift, corollary to abandoning the 'Constellation' program for a return to the Moon by 2020, a program that was instead well on trajectory to a truly spectacular boondoggle. The article's author, Charles Homans, duly beats up on the Bush administration, so I don't have to. He also has fun with the ideological twists of space politics, but I think he overstates them, as 'privatization' is overstated. US boosters and spacecraft have always been designed and built by private firms under government contract, and nothing is going to change about that. What I believe is really going on is a pragmatic rebooting of engineering cultures. NASA's human spaceflight shop took form in the Apollo years, and as Homan notes, it operated in a budget free environment. Engineers were tasked with an assignment - going to the Moon - and built what they needed to do it, with cost no object. It fostered a tendency to design to the max, which worked so long as the money flowed. Once the money quit flowing, US human spaceflight development fell into a notorious cycle of designs that get compromised to save money, perform below expectations because they were compromised, thus end up costing more anyway, and either limp along or get canceled. In fact, come to think of it, the NASA cycle was probably inevitable, not pathological. Those things happen on a smaller scale in any shop pushing engineering limits: failed and abandoned projects litter the boneyard. But when it comes to basic orbital access, we can't afford that cycle and don't need to, at least not on remotely that scale, because the mission requirement is basic. The basic orbital ferry mission is go up to the ISS, dock, and come back safely. The ferry doesn't need to operate independently for more than a day, so life support can be basic and habitability minimal, spam in a can airline type seats. Even the docking collar can be simplified, because the ferry can be snagged by a Canadarm and eased into place. James Oberg (I almost wrote 'Oberth') goes into all this in some depth. But I think he gets a bit out of his depth about the PR and politics of failure tolerance. Spectacular aborts, say the booster exploding on ascent, will cause a media and Congressional hoodoo even if the crew ends up safely in the drink. (After which I for one would certainly want a drink.) The ensuing public uproar is basic primate house behavior in its characteristic 'Murrican form, and entirely predictable, so it should be anticipated in advance. The real point, though, is that designing a practical, safe, (relatively) cheap orbital ferry calls for a very different engineering approach than pushing the frontier does. So it makes sense to task it to a different shop. And that, I think, is what is really going on with the new policy. Nothing more, nothing less. At the end of 'The Wealth of Constellations,' Homans comes down against human spaceflight, though in a perfunctory way as though his heart were not really in it. But as so often, he thoroughly misunderstands human spaceflight and its short and mid-term goals and objectives. He plays the standard rag on the small amount of 'science' accomplished aboard the ISS, which is about like asking how much 'science' was done by the X-15. Science will, in due time, be done by deep space craft that permit us to examine other worlds close up, directly and interactively, not with minutes of light lag. 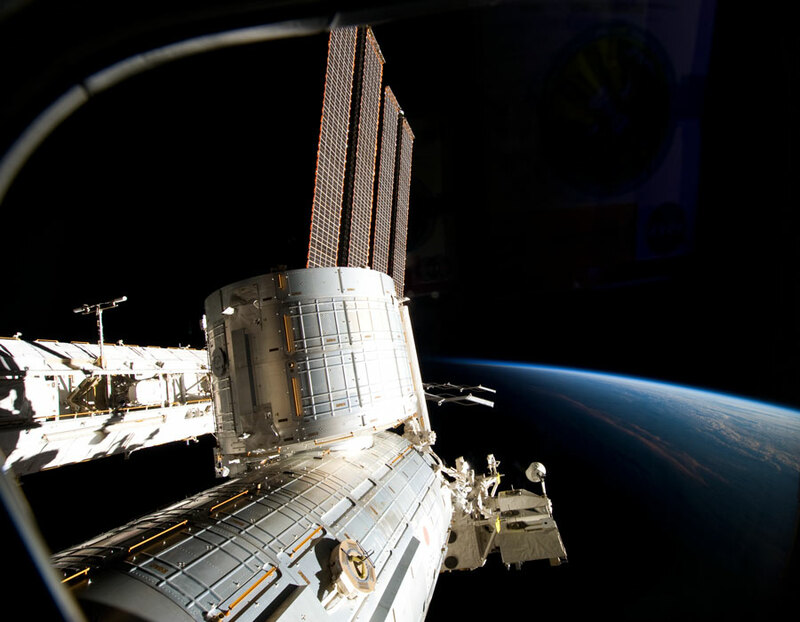 The ISS is about learning to operate a class of scientific instruments. Whether or not they also get used for tourism, mining, or primate house misconduct is another matter, not bearing on their value to science. Bonus Science News: With proviso that science reporting in the general mass media is not known for understatement, now they are saying that our ancestors of fully modern human type did interbreed with Neanderthals, after all. Or at least some of us did. Apparently Europeans and east Asians have Neanderthal blood, to use the old fashioned expression, while Africans do not. One issue which seems to have been overlooked or glossed over is Constellation/Orion had no provision for an airlock; essentially eliminating America's hard won expertise in EVA and space construction. So far as I know, the SpaceX Falcon/Dragon combination is also sans airlock and I can't think of any other near term project that has one either. Ideology aside, the biggest problem with the US space program wasn't the private contractors who built to order from their one customer, but the fact there was only one customer, which limited the opportunities to create new products and services for different market niches. The growth of alternatives like Virgin Galactic and Bigelow Aerospace bodes better for the aerospace industry, maybe even more so than the change in government policy. I may be playing the part of the bear with very little brain in this discussion but what about non-US manned capability. China and Russia already have this and how far beyond ESA would a straight up/straight down launch vehicle be? If the main customer will be flights to the ISS can NASA lock other partners? Damn...I meant "lock out" other partners - sorry. Nitpicking - They only tested a limited range of human genetic diversity. I'm willing to bet money that most if not all Europeans carry some Neanderthal genes, because the Iberian Peninsula was the last holdout of the Neanderthal species. I'm also willing to bet money that some groups in Africa carry Neanderthal genes, because after moving out of Africa some tribes moved back in. So far the tests have only covered a tiny portion of Africa's total genetic diversity. Nitpicky, but a couple of my friends are anthropologists. It's the kind of nit that gets picked at a lot around here. Standardization is good to a certain extent, because it allows others to offer new services compatible with the older service, so long as it is standardized and supported. (looking at the current battle between Apple and various developers for iPhone apps and Adobe Flash, or the ongoing problems with Microsoft's "extending" of HTML and XML standards so things that work in IE are incompatible with Firefox, Opera, Safari and Chrome gives you an idea of the difficulties that can occur if someone really does want to "lock out" the competition). Depending on what sort of scenario you are contemplating, this can be either good or bad. Hypothetical cold warriors who attempted to inspect Soviet "Almaz" space stations in the 1970's would have had an incompatible airlock to navigate (not to mention booby traps), providing a degree of passive security. A hypothetical cold war Apollo military mission would need to carry an adapter like the one used in the Apollo/Soyuz mission if the goal was to do an inspection (and a military Soyuz would need the same to inspect an American MOL or Skylab station). You are right that monopsony, a single buyer, limits a market as much as monopoly does. The reason there has only been one customer for is that no one else was lining up at the order counter. Except the satellite biz, which has modest trucking requirements and no interest in paying for more. The people stepping up to build are betting that they can do it cheaply enough to hustle up some more business. I don't know whether they can or not, but they have a motivation to hold costs down, so they will promote a cost conscious engineering culture in their shops. On airlocks, the ISS has airlocks, and that is where we will be doing all our EVA for some time to come. An airlock for the ferry would mean a much bigger, heavier vehicle, pushing cost way up. We could hardly lock other people out of the ISS (and I don't know why we'd want to), since the Russians own half of it, and would have every right to sell tickets on Soyuz. On Neanderthal genes, I agree; it's awfully improbably that no one migrated back into Africa in the last 60,000 plus years! But it was too entertaining to resist. My insistence on airlocks stems from the initial phase of building the ISS; astronauts had to do EVAs from the Space Shuttle to assemble the first pieces. ISS 2, spaceship Messiah or the orbital Hilton (which plays Strauss waltzes 24/7 and drives the crew and hotel staff crazy) will need some sort of robust construction capabilities to get started, and I suspect since the space "trucks" delivering parts to the work site will be unmanned ELV's like Falcon 9 and so on, a manned space taxi with an airlock or a dedicated vehicle like the putative LEM Warrior of the late 60's will be needed. This might not be that difficult. 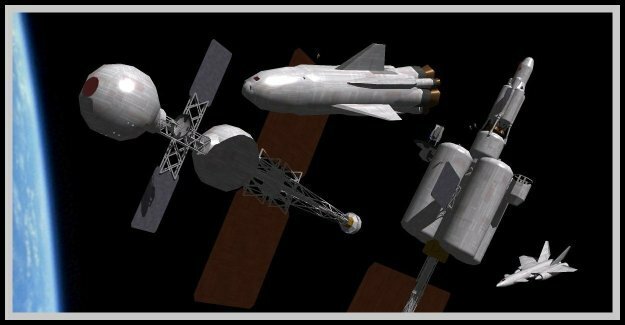 It occurs to me that an airlock module could be attached to the ISS or a Bigelow orbiting module and the space taxi could hook on and carry it to the work site (like the adapter carried by the Apollo capsule in the Apollo/Soyuz mission). At the very simplest, one of the "node connectors" that joins the segments of the ISS (and presumably Bigelow modules) could serve as a very primitive airlock, or be adapted with some extra equipment to do the job (cylinders of gas to re-pressurize the module, and tool racks for example.) Possibilities, possibilities. Who needs me, when you came up with a solution to your own problem? It makes perfect sense to me that when we come to do ISS 2.0 the first thing sent up will be a construction site trailer with an airlock and Canadarm, then build out from there. It makes perfect sense to me that when we come to do ISS 2.0 the first thing sent up will be a construction site trailer with an airlock and Canadarm, then build out from there. A mini-hab to house workers and some "space-trucks" to move stuff around, as well as some powered spacesuits to do the fine work of construction of...whatever; stations, satellites, ships, colonies, what-have-you. Airlocks would be needed for most, if not all, of those construction vehicles. Other things may or may not need an elaberate airlock, depending on they're specific purpose. I read someplace an article about the cost of space flight being so expensive because they couldn't afford failure. That last five percent costs as much as the first 95% to perfection. Now of course we can't skimp on human safety, but if we're willing to abort missions as much as 10% of the time that can drastically reduce the costs. Then you just buy insurance against the aborts. Don't forget the roach coach taco wagon, though I guess that can be incorporated in the same system as the coffee truck. Putting an airlock on the ferry is wasteful because it means sending up a an item of durable equipment with every mission. The ferry should be purely for supplies, which in this context includes the crew. Oberg makes the point about the last 5 percent of reliability doubling costs (and I'm sure he's not the first). That is why the launch industry still has about a 5 percent failure rate, even though the technology is 50 years old. It is cheaper to insure the payload. For human missions the problem with this approach is not actual safety, but public perception. A booster rocket malfunctions, the ferry kicks clear, the range safety officer destructs the booster, and the fragments come down all over the cable news and YouTube. It is easy for us tech geek types to sneer at the primate house uproar over a semi-routine event where the safety system operated exactly the way it is supposed to. But no one here can really complain, because my blog traffic spikes whenever I blow up some spaceships. Yeah, if NASA weren't tossing away so much of my tax money, I might have been able to afford another gumball at the video rental place today. Much of the cost involved with NASA is essentially "clerical", as Robert Zubrin pointed out in "The case for Mars" (where he suggests that only 10% of the workforce at Lockheed Martin were actually making rockets and the rest provided "oversight" and laid a paper trail for NASA and the Congress). The standing army of 20,000 contractors and support workers has a great deal to do with the $500 million/launch cost of the Space Shuttle. Eliminating the paper burden has a lot to do with the SpaceX Falcon 9 being offered for only $51 million/launch to GEO with a full payload (comparable to a Titan or Delta 4), and the Aquarius proposal has such relaxed standards that they expect a 30% failure rate (but are only launching a ton of consumables) for an estimated $800,000/launch. Of course on the other side of the coin, there are perverse institutional incentives for NASA (or any other bureaucracy) to maintain and pursue high price vendors and vastly inefficient HR and management policies in order to justify large budgets. Obviously privatizing on its own will not be enough to lower prices or increase capabilities, only new customers who don't work through the monopsony will allow the market to work. The fact that potential customers can access space for much lower prices is a good starting point. "Don't forget the roach couch taco wagon ...."
Nah, a classic chrome diner with a flashing neon sign "Bella's". Parked out front, a rag top baby blue flying saucer. Failure doesn't have to mean spectacular explosions. It could simply be a delayed or canceled launch, or an abort to safety. If we're talking about just hucking raw materials into orbit, like remass, then high failure rates (more than 10%) are fine so long as the costs are significantly less. When you get into highly processed things, like satellites, then you need a higher success rate. When it comes to shooting people into space, mission success takes a back seat to safety concerns. Of course, that last part really applies more to political motivations rather than big business or military projects. Although the military does lots of testing beforehand, test pilot is a dangerous job and they go into it knowing the risks. Corporations can likewise put an insurance policy on their pilots and then wash their hands if things go south. What they can't put insurance policies on are all those innocent bystanders that might get hit by the debris from a failed launch. So bystander safety and environmental concerns may be the most powerful guiding principle. ""Don't forget the roach couch taco wagon ...."
Nah, a classic chrome diner with a flashing neon sign "Bella's". Parked out front, a rag top baby blue flying saucer." Candy apple red, white leather tuck and roll, living room couch front and rear. I didn't mean 'lock out' of the ISS I meant locking them of the bidding to carry astronauts to the ISS. Although having read my post I can see where the confusion would lie. Of course my bias is that if you're gonna have a diner, have a REAL diner, with chimes ringing through the passenger pods for each seating. Maybe they could revive the Pullman company. 'Locking out' is one of those classic confrontations between market logic and strategic logic. If your goal is cheap launch, you'd open the bidding to all comers, but if you have a policy objective of beefing up the US industry, you'll certainly favor it. As a practical matter, for the next several years at least we could get into space cheaper on Soyuz than anything any new operator could build, considering that Soyuz is already developed and mature. But also as a practical matter, there's no chance that the US would accept thumbing rides on a permanent basis. Pullman car for the folks who can pop for the 200K ticket. Diner for the working stiffs. They want their grub right now and they want it to cover the plate (and drip). I'm doubtful that the 'paperwork' cost is 90 percent of the total as Zubrin asserts, but I have no first hand information, and am not an accountant qualified to evaluate it if I did. What I can easily believe, though, is that the whole traditional infrastructure of space launch, which evolved along quasi-military lines, is implicitly geared support a much larger launch volume than it actually does, because the underlying mindset was trained to think in terms of contingencies, not doing a job cheaply. As a loose analogy, imagine your local fire department trying to run a trucking company. They know all about trucks, but their skill set and mindset is keeping them ready to roll on a fire, not operating them efficiently day in day out. Not that messier than how they eat planetside. You don't want to know what a diner looks like after closing time. Organizations that think cheap instead of contingencies wouldn't be my first choice - re the eco diaster in the Gulf. It was a military engineer who formulated Murphy's Law. Mmm, that's a very good point about cheap v contingencies. But there are different contexts for contingency. Airlines operate pretty safely, but they are not geared up to fly hundreds of jets into some back of beyond airstrip the way the Air Mobility Command (or whatever they call the old airlift command) is. On the other hand, they've become almost as good at treating passengers like cattle as the military would be. Docking at ISS takes 3 days, not 1, and undocking and re-entering atmosphere takes almost two days. Ken - I float corrected. That complicates things a bit, but not drastically. Failure modes need to be worked out thoroughly, however. Like what happens if a ferry goes up, can't make rendezvous, and can't come back down.